The time has come for you to sell your first home. Are you ready to lose a big stack of cash as part of the deal? In today’s Los Angeles real estate market, buyers have the upper hand and sellers have to be on top of their game to avoid getting burned in the process. 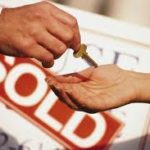 Fortunately, there are easy strategies that every homeowner can follow to minimize the pain and maximize the profits. Losing money is a real possibility! Every homeowner understands the assessed value or appraised value of their home. It is easy to look up the listing prices of homes with similar features and in similar neighborhoods. However, these numbers are not the numbers that will end up on the table at closing time. For a more realistic approach, sellers should work on reviewing the actual selling prices of similar properties. People who need to sell in a hurry will tend to lose more money than those who are willing to wait for a better offer, but be careful with this tactic. The housing market right now is oversupplied, so waiting can mean losing out on a sale completely. When selling a home, it is important to market it as attractively as possible. Thirty years ago, that might have meant putting in new border plantings and laying some sod to improve the curb appeal. Curb appeal is still just as important, but now the curb starts at the buyer’s computer screen. Online agency listings of homes show the exterior, the interior, the lawn, and more. Presenting the home in its best light is important. Use lots of photos. More photos mean more opportunities for buyers to love the house. Consider the potential audience for the home. If the neighborhood is filling up with young, tech-savvy professionals, emphasize the home’s connectivity and consider postings with QR codes to find the photos. For neighborhoods catering to seniors, be available by phone to patiently and quickly handle queries. Be sure that photos show as much of a room as possible. Talk to friends and borrow the best cameras for the job – photos from a smartphone are not the way to find a quick sale! It’s very important that any issues, even small details, are all taken care of before the potential buyer views the home. Small issues can leave an impression that the home is not well taken care of; big issues can be deal-breakers or can drive the asking price down dramatically. Repainting rooms into more neutral colors gives an impression of openness, and that priceless “new house” smell at the same time. Buyers love that! New carpeting is also a sure way to increase buyer appeal. Clean gutters, edge sidewalks, and be sure any plantings are pruned back and neat. Another tip: minimize (but don’t eliminate) the family mementos and photos throughout the house; new buyers should be imagining this as their family’s space. A few family photos make it feel like a home. Too many family mementos make a house feel cluttered and cramped. If your budget doesn’t allow for correcting a major problem, the best approach may be an upfront disclosure with a credit on the sale. To be sure that all problems are caught, hire a home inspector. It is certain that any potential buyer will order a home inspection before closing. The seller should do this as well, to avoid any surprises that can be used as bargaining chips. To clarify: sellers should stop thinking of themselves as homeowners, and start thinking like businessmen. Everyone is emotionally involved in their home. Families grow in them, drama happens; life develops within those four walls. But once the decision to sell has been made, sellers need to take emotion out of the equation. Potential buyers will sometimes “kick the tires” of a house, listing complaints in an attempt to build up bargaining points to lower the price. Be realistic about the sales price of the home and the actual proceeds of the sale. Sellers should not take it personally; this is a market reality. Sure, it is tempting to list a home for sale FSBO and avoid the fees charged by a real estate agent. But that way lies madness! Find an experienced real estate agent in selling property. that Real estate agents have access to a wide variety of marketing materials that go far beyond FSBO websites and classifieds in the newspaper. Professional market analysis helps to establish a realistic price for the home. A strategic marketing plan helps to find the potential buyers. Advice on staging the house and objective walk-throughs will help eliminate issues and amaze buyers when they come for viewing. Looking from the other side of the table, most homebuyers will be using a real estate agent, and agents typically won’t show FSBO properties, as there’s no commission available should they close the deal. 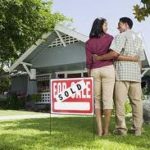 Hopefully these strategies have offered some insight into setting up a successful home sale. We at the Real Estate Unlimited agency take the stress and guesswork out of selling your home. Take the next step by calling a Los Angeles real estate agent today at (213) 375-8738 or contact us online and we will guide you in your journey to selling your first home.